Lovely Lake Travis stretches 65 miles upriver in a serpentine course from western Travis County to just southwest of Marble Falls. With over 250 miles of shoreline you are sure to find a spot for any activity! Our Volente location is on the North Shore of Lake Travis where members enjoy scenic Hill Country views in a quiet small town community. From our Austin Nautical Boat Club location at VIP Marina access to your favorite restaurant, fishing spot or cove is just a click away. Shack 512, located adjacent to Sandy Creek Marina, on the shore of scenic Lake Travis, offers American Southern cuisine in a relaxed, beautiful Hill Country lake setting. 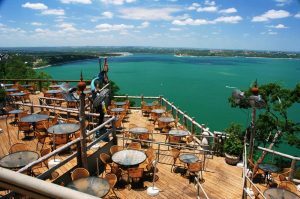 A casual, outdoor venue, Shack 512 offers spectacular panoramic views of Lake Travis and the surrounding hills. Accessible by land or by lake, we welcome boaters and have plenty of public boat parking next to the Sandy Creek Yacht Club. A lakeside fixture since 1979, the Oasis is The Sunset Capital of Texas. Today, the restaurant seats almost 2,500 and has a top-floor entertainment space with retractable roof panels, as well as several banquet rooms for private events. 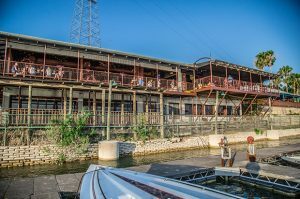 Cedar Street Dockside is a floating Lake Travis restaurant and bar located at Emerald Point Marina on Lake Travis. Access by road and by boat with a large dock to park all patrons visiting via watercraft on Lake Travis. Lots of indoor and outdoor dining including a live music palapa outdoor bar and dance floor. 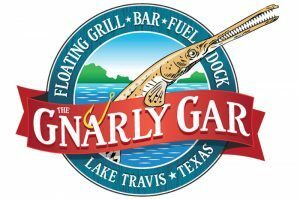 Great food and drinks with the lake’s best Happy Hour and the music just keep coming.